President Trump is bulking up his policy shop with three new hires, according to sources with direct knowledge of the plans. 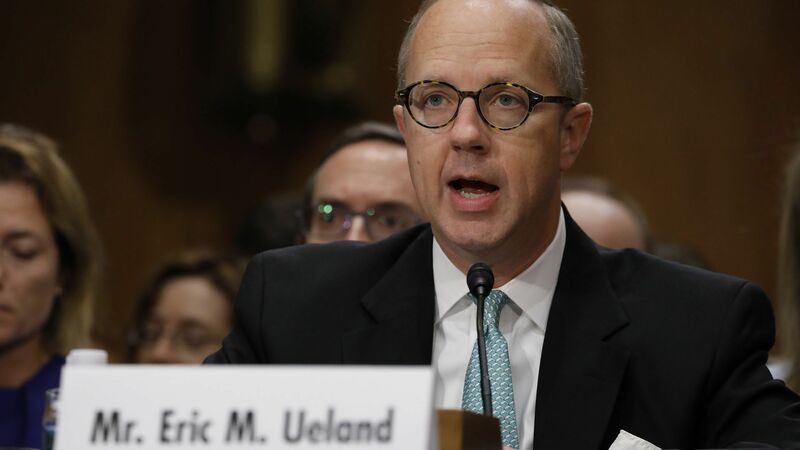 Driving the news: Joe Grogan, the head of the White House's Domestic Policy Council, is bringing on Capitol Hill veteran Eric Ueland and Justice Department alum Jennie Lichter, who specializes in legal matters involving religious freedom, as his deputies. He's also hiring Maria Bonner, a health care regulatory expert who has worked in Mike Pence's legal shop. Ueland is an especially important hire, according to officials who've worked with and against him over his long career on Capitol Hill. "Whenever we squared off in the Senate, he often got the better of me due to his superior knowledge of the rules and process," said James Wallner, former executive director of the Senate Steering Committee. Between the lines: Mick Mulvaney is a much more ideological chief of staff than John Kelly was, and he is pushing the White House to be more aggressive in its domestic agenda. There's little chance of passing major legislation in this divided Congress, so the Trump administration is focused on deregulatory efforts through the executive branch. White House officials listed health care, labor and energy/environment as the priority areas for deregulation. These three new hires will work on deregulation, along with other issues.